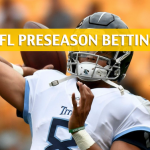 The Mike Vrabel era has already started for the Tennessee Titans, whose search for their first win under their new coach will continue this Saturday. 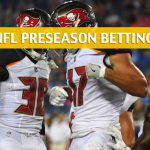 They will be up against the Tampa Bay Buccaneers, who succeeded in their first assignment in the preseason. 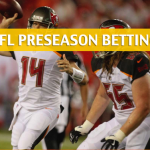 This is one of the more important NFL preseason games of 2018, featuring rivals Mariota (excited to be under new coaching staff) and Winston. If Mariota wins this meeting, the debate over who was the better to come out of the 2015 NFL Draft will be laid to rest. A Winston victory would not have that same impact, but it will drag the foregone conclusion on longer than anyone would care to debate. Whatever may be, this August NFL game is going to be an exciting one to see! 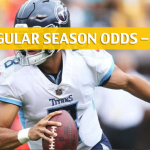 In the NFL Futures, the Titans are +375 to win the AFC South, while the Bucs are +1,000 to win the NFC South. 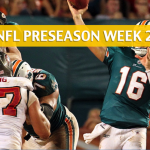 The Bucs kicked off their preseason campaign with a victory, downing the Miami Dolphins on the road last week, 26-24. Ryan Griffin led the team’s charge by going 20-of-26 under center for 179 passing yards and a touchdown. Jameis Winston also made an appearance, completing 11 of 13 passes for 102 yards. Winston, however, is suspended for the first three games of regular season for violation of the league’s policy on personal conduct. Griffin’s solid performance against the Dolphins bode well for chances to win the temporary starting gig while Winston serves his suspension, though, Ryan Fitzpatrick is the more experienced among the backups. Meanwhile, rookie running back Ronald Jones didn’t do much in his NFL debut, rushing for only nine yards on eight carries with a touchdown. Peyton Barber started against Miami, but the Bucs may give more playing time for Jones this time around to see how the rookie bounces back. The under is 5-1 in Tampa Bay’s last six games. Despite losing to the Green Bay Packers, 31-17, last week, the Titans had plenty to smile about. 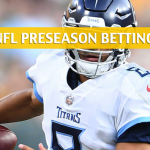 Among them was the seemingly smooth execution of offense by Marcus Mariota under new offensive coordinator Matt LaFleur and debuting head coach Mike Vrabel. Mariota played in limited snaps, but the Titans were able to rack up 71 yards in only eight plays. Luke Falk and Blaine Gabbert did most of the heavy lifting under center. Falk completed 10 of 19 passes for 105 yards and a touchdown, while Gabbert connected on 9 of 15 passes for 76 yards. It’s all on the second and third teams to sustain what Mariota and the first teamers are going to do in the field. On defense, the Titans will look to fine tune further their pass rush that played well against Green Bay by constantly applying pressure and even racking up three sacks. The stop unit might miss Dane Cruikshank, though, as the defensive back suffered a shoulder injury against the Packers. 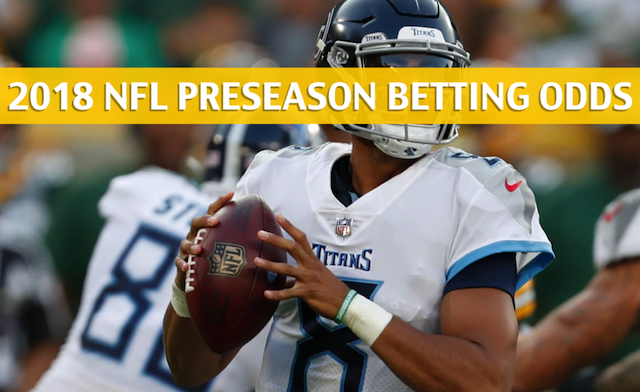 The Titans are 4-2 ATS in their last six preseason home games. The young Hawaiian leads Tennessee to a 27-24 victory, putting the Mariota vs Winston debate to bed for good, preseason be damned.